Bye Bye Butterfly: Is The Monarch Butterfly Canadian Migration Fluttering Towards Extinction? Bad news for butterflies: The number of monarch butterflies wintering in Mexican forests has plunged to the lowest levels since monitoring began more than 20 years ago, according to a study released by World Wildlife Fund, Mexico's Environment Department and the Natural Protected Areas Commission. The report has led experts to caution that the insect's annual migration to Canada is in danger of disappearing. "Hopefully the possibility of the end of the monarch migration is a wake-up call for Canadians," said Rachel Plotkin, science manager at the David Suzuki Foundation. "While the numbers are alarming, one of the most important remedies is simple: Monarchs need milkweed to survive, and Canadians need to do their part by planting more milkweed and pollinator-friendly gardens this spring." 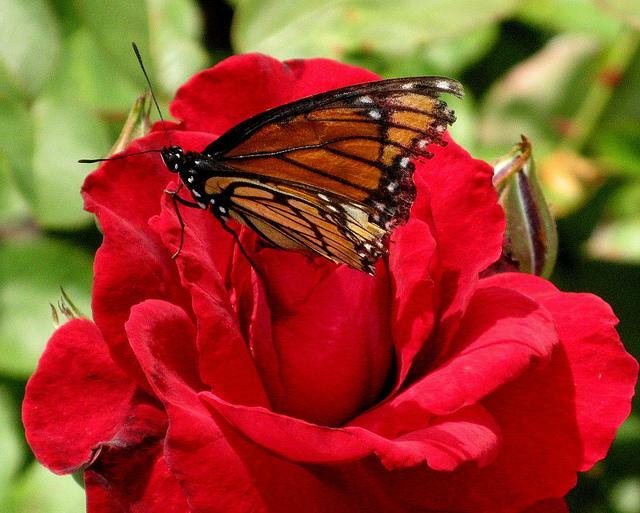 The report confirms that monarch populations overwintering in Mexico are at an all time low. Last year an estimated 60-million monarchs spent the winter in specific mountain forests – the lowest since monitoring began in 1993. This year estimates are that the number has again plunged by almost half. The main threat to monarchs is the eradication of milkweed plants throughout its migratory path, especially the U.S. Midwest. Milkweed is the host plant for monarchs (mothers lay their eggs on the underside of milkweed leaves) and the monarch caterpillar’s main source of food is milkweed. Soaring prices for corn due to federal ethanol requirements in the U.S. have resulted in farmers converting millions of hectares of grasslands and conservation lands – fields that were once blanketed with milkweed – to corn. A dramatic increase in the use of Roundup, a herbicide that kills all plants except crops that are genetically modified to be resistant, has also contributed to a loss of milkweed. Leading monarch advocacy organization Monarch Watch estimates that more than 60 million hectares of milkweed habitat have been lost to herbicide-resistant cropland in the U.S., with an additional six million hectares of milkweed habitat being lost to sprawling roads and residential developments – rates comparable to the deforestation rates in Brazil, Malaysia and Indonesia. Studies have shown that in some states more than 90 per cent of all milkweed has disappeared. 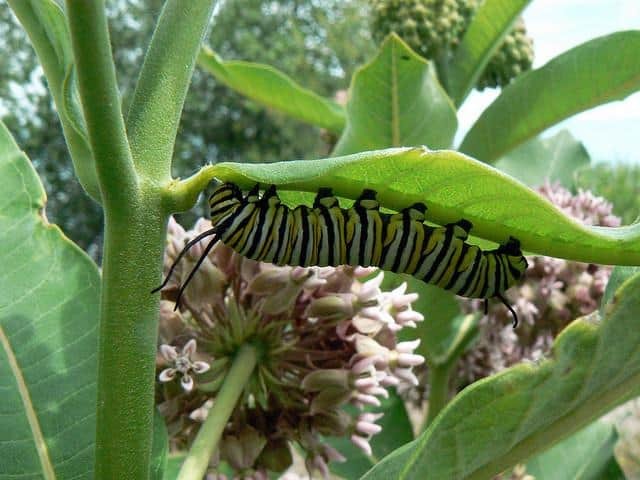 "While the situation is bleak, we urge Canadians to join the growing effort to bring back the monarchs by adding milkweed to their gardens and balconies this spring, and taking action in their communities by organizing pollinator-friendly corridors throughout their neighbourhoods – especially in parks and schools and along roadsides and hydro and railways," Plotkin added.